The Syracuse-Wawasee Historical Museum, Inc. would like to thank you for visiting this website! The museum is in search of a new board member willing to take on the Treasurer position. Candidate must attend all meetings, will take care of payroll, necessary tax forms, banking, bill pay, etc. required by the museum. Please contact the museum director (Jamie 574-457-3599) with inquiries and for more information. Open House: May 18, 2019 @ 10 a.m. to 2 p.m. Please join us in celebration of our new J.P. Dolan Native American Collection exhibit. Open house is free and open to the public. Chautauqua-Wawasee Historic Cruise: May 23, 2019 @ 2-4 p.m. Join Chautauqua-Wawasee and Ann Garceau on board the S.S. Lilypad as they tour Lake Wawasee. Tickets are $15 per person and are available through Chautauqua-Wawasee Oakwood Foundation by visiting www.chqw.org or by calling 574-377-7543. Seating is limited and early purchase of tickets is encouraged. Novel Conversation: May 25, 2019 @ 11 a.m. in the Celebration Hall. Join us as author Ray Boomhower presents his book John Bartlow Martin: A Voice for the Underdog, about the writer for the Indianapolis Times during the 1940s-1950s, advisor and key speechwriter for presidential campaigns from 1950-1970s, and US ambassador to the Dominican Republic during the Kennedy administration. This program is in cooperation with the Syracuse-Turkey Creek Township Public Library and sponsored by the Indiana Humanities and is free to the public. Limited quantities of the book are available to check out at the library. Our greatest appreciation goes out to the Kenneth and Lela Harkless Foundation for funding our operation expenses for 2019. Exhibit Open House, Saturday, May 18, 2019, 10 a.m. to 2 p.m.
A $17,000 Heritage Support Grant from the Indiana Historical Society made possible by Lilly Endowment Inc. and an additional $3,550 contributed by local residents are being utilized to curate & display the Indian artifact collection. 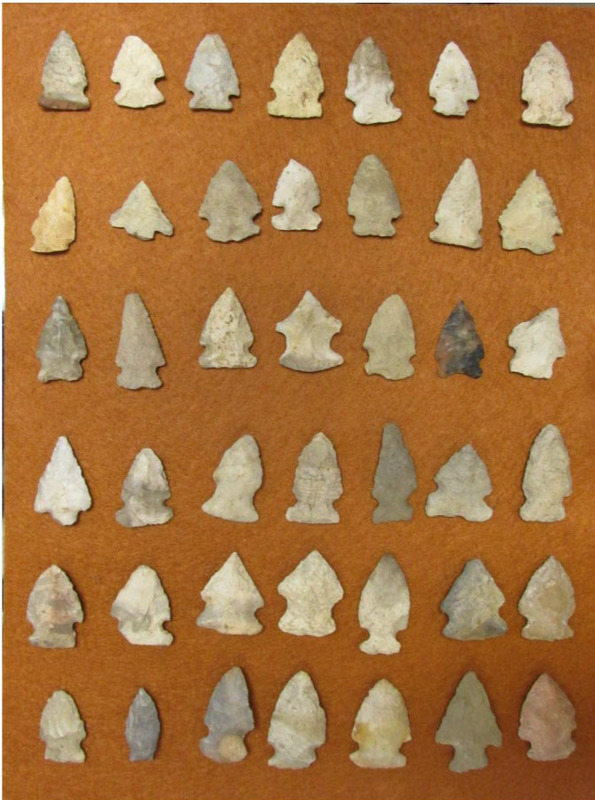 In collaboration with Ball State University’s Applied Anthropology Laboratories (AAL), artifacts in the collection have been digitized, categorized, identified, labeled, and cataloged. Amazing digital models can be viewed by the public on the AAL’s Sketchfab pages – Dolan Collection. In order to realize J.P. Dolan’s goal to have his collection serve as a public education resource, the Syracuse-Wawasee Historical Museum is developing engaging, informative displays that communicate the full educational enrichment and research potential of this important collection. This project is an extension of both Mr. Lilly’s legacy and Mr. Dolan’s intent to further the public good. Located in Syracuse, Indiana in the Syracuse Community Center across from Lakeside Park, the Syracuse-Wawasee Historical Museum, has been offering a glimpse back in time for the Lakeland area since 1987. It was founded with funds gained from the Syracuse Sesquicentennial Celebration and occupied a room in the Syracuse Public Library until June, 2002 when it moved to its current location in the Syracuse Community Center. We are looking for team pictures to go with our trophy display. If you have one, please consider bringing it in so that we may copy it.